A recent story in the IBJ took a look at the difference Arbitron's new rating system is making in the local radio market. In the past, ratings participants were required to use a pen-and-paper system to track their listening habits during a ratings period. Arbitron has replaced that antiquated system with a precise measure--portable people meters, which automatically track what radio stations people are listening to. While some stations have seen little change in their ratings, others have seen a dramatic change. As the table above demonstrates, WFMS-FM, a country format station, slightly improved its position as the number one-rated station in the Indianapolis market, capturing over 10% of the market. By comparison, WIBC-FM's news talk format took the biggest hit, losing nearly a quarter of its audience share according to the new ratings system, garnering 5.7% of the local market share compared to the 7.9% share it had under the old system. WYXB-FM, a soft rock station, doubled its position, climbing from the middle of the pack to second place behind WFMS-FM at a 9.6% share. WJJK-FM classic rock's share jumped about 50% to a 7.4% share. Most of the 15 radio stations listed in the table held their own. WTLC-AM, an urban gospel station that courts a black audience came in 15th place but maintained its market share of 2.3%. WXNT-AM, the other news/talk station in town failed to make the top 15, an indication that the new rating system failed to boost its numbers as at least one of its radio talk show hosts had suggested it would. Because advertisement rates are based on a radio station's market share, the new system will impact the revenues the radio stations earn in the future. As Tuesday's midterm elections approach, it's gotten so deep for the Democrats that President Barack Obama just had to make a stunning announcement . . .
Just then, Obama gave notice that he couldn't stay for dinner, and had to cut out early. But before he split for Washington, he offered up a verbal appetizer. "I've got to get home because Michelle is on the road," the president explained. "So I've got to be home to tuck in the girls and walk the dog. And scoop the poop." . . .
Is that what many Democrats in Congress are calling it, with Tuesday on their minds? The reason for all these stops? Political scooping. The Obama administration has deposited dangerous leavings across the land, and his loyal Democratic Congress has stepped in it. They're the ones who will pay at the polls for his excessive feeding of the federal government. Jamming what the people didn't want down their throats and telling them to like it. It started with a near-trillion-dollar federal stimulus — including cash for a famous study on coked-up monkeys — and it got worse. Americans didn't want coked-up monkeys. And they didn't want the White House to own General Motors. They didn't want massive government programs like his revamping of health care. They told him they didn't like it at all those angry town hall meetings. But he didn't listen. And he didn't listen when moderate Democrats warned him. He didn't listen as many independents became radicalized as tea party protesters. So the White House tried to demonize the tea party. At first the Axelrodian response was to insist the tea party folks were crazy, because only lunatics would oppose an unprecedented and costly expansion of the federal leviathan, right? When that didn't work, the tea party folks were labeled as racists. Then as fearmongers. It all failed. So on Tuesday, the bill will be paid. But the president isn't the one picking up the check. The Democrats in Congress get stuck with this one, and it's their fault too, because they smoked the Hopium and closed their eyes and voted for his agenda . . .
Fox59 News' Kimberly King ran a very nice story last night by Kimberly King on the life of Professor Henry Karlson. The IBJ's Francesca Jarosz has a story today that confirms what we already knew. The state's revolving door law has no teeth, or at least how it is interpreted by the people Gov. Mitch Daniels has appointed to the state ethics commission. A state ethics panel that’s been under fire for allowing a state regulator to take a job with a utility has a long history of lenient decisions. An IBJ review of 27 rulings by the Indiana State Ethics Commission dating back to 2006 shows the five-member body has not prohibited a state employee from taking a private-sector or not-for-profit job in the last 4-1/2 years. On only a few occasions has the panel [3 to be exact] which advises state employees on ethics laws, required a 365-day “cooling off” period between jobs. Jarosz explains what Indiana's revolving door law supposedly requires. The law dictating state employees’ moves to jobs outside state government says they cannot take a job if the employer offered it to influence the employees in their state positions. The law also stipulates that employees take a 365-day cooling-off period under certain circumstances, such as if state employees accept positions as executive-branch lobbyists or had negotiated or administered contracts with the employer on behalf of the state agency. The law also bars state employees from working on certain contracts, lawsuits, claims or other matters involving the state if the state employee was “personally and substantially” involved in those issues while with the state. It’s up to the ethics commission, whose advice employees seek only on a voluntary basis, to interpret whether those laws apply. Jarosz goes on to explain how Daniels' ethics commission has gone on to waive the one-year cooling off period for two of his budget directors who accepted jobs with companies for whom they had approved bond issuances or state contracts. As she explained, the ethics commission saw no problem with their hiring because they had not actually negotiated the agreements; they only voted on them. What a total joke the state ethics commission has become. Wayne Township Trustee Candidate Violating The Little Hatch Act? Andy Harris, Ballard's hand-picked chief administrator of Neighborhood Liaisons and outreach, is currently in violation of the federal Hatch Act. Funded in part by federal funds, Harris supervises employees who serve as liaisons between neighborhood residents, elected and appointed officials and various City agencies. The Hatch Act limits the political activities of local government employees who are principally employed by programs funded in whole or in part by the U.S. or a federal agency. Provisions of the Act prohibit some of the following: a) candidacies for public office in a partisan election; b) using their official authority or influence to interfere with or affect the results of an election or nomination; and c) directly or indirectly coercing contributions from subordinates in support of a political party or candidate. See 5 U.S.C. section 1501(4) and 5 U.S.C. section 1502(a)(1-3). 1. Harris is a declared candidate for Wayne Township Trustee in contravention of the statute. 2. Harris has received and spent campaign contributions to a political candidate committee. The Democrats' press release doesn't mention a state law that also makes persons who are covered by the Little Hatch Act ineligible to be candidates in Indiana. The problem with the Democrats' complaint is that it is being raised too late to remove him from the ballot, and Harris can simply resign his job belatedly and avoid the hammer provision of the Act. That was the mistake Democrats made in their challenge to the winning Republican mayoral candidate in Terre Haute, Duke Bennett, during the 2007 municipal election. By the time the Democrats' complaint was lodged after the election, Bennett had already resigned his job at a nonproft agency funded, in part, with federal funds that disqualified him from being a candidate. I'm not sure why Democrats waited so long to bring this complaint against Harris. UPDATE: It looks like a campaign finance report complaint has also been filed against Harris for alleged irregularities in his reporting. You can read the complaint by clicking here. The Indiana Attorney General's office also recently issued an opinion discussing the Little Hatch Act and stating that prosecuting attorneys are not covered it because they are members of the judicial branch. Charles Hunter is an 87-year-old attorney who came out of retirement to serve as judge for Beech Grove's newly-created traffic court. WISH-TV's Deanna Dewberry had a great story tonight about how Charity Bryan, a paraplegic, got ticketed for parking in a handicapped spot. It turned out the parking placard for the vehicle in which she was being driven by her husband had fallen down from the rear view mirror and not observed by the police officer who issued her a $75 ticket. The police officer told Bryan she would have to go before the traffic court if she wanted to contest the ticket and so she did. As WISH-TV reported, Bryan said Judge Hunter was rude to her and rejected her plea to drop the ticket even after observing her in a wheelchair in his courtroom. Bryan was further dejected by Hunter's ruling after seeing him leave leave the courtroom in a wheelchair. Judge Hunter reduced her fine to $10 but he assessed her more than $114.50 in court costs, making the amount she would have to pay higher than if she had simply paid the original fine. She took her case to WISH-TV's I-Team 8, which questioned Hunter about his ruling. He told I-Team 8 he had no recollection of Bryan's case which he had just heard days earlier, but he seemed to agree Bryan should not have to pay the ticket under the circumstances. But when Bryan went back to Hunter's court to have her case reviewed, he waived her off. I-Team 8 cameras followed Judge Hunter when he left the traffic court in his wheelchair with his son. Judge Hunter got into a car that was parked in a handicapped parking space with, guess what, no visible handicap parking placard displayed in the vehicle, which also did not bear a handicap license plate. When I-Team 8 attempted to question him about his own hypocrisy on the matter, he refused to comment. His son quickly located the parking placard and displayed it after being caught on camera without it. I-Team 8 looked closer at the traffic court's budget and discovered it cost almost twice as much to operate the court as it generated in revenues, including about $42,000 a year for Judge Hunter's part-time position. The purpose behind the court's creation was to create revenues for Beech Grove. The city's operating agreement with Veolia has been a lose-lose situation for Indianapolis water ratepayers from the day the city purchased the water company from NiSource for more than $500 million, about double what it was actually worth at the time. The city turned over management of the water company to Veolia in a one-sided deal that netted the French-owned company about $50 million a year and included tens of millions of dollars in performance-based incentive payments the IURC concluded in a rate decision last year were without merit. After incurring more than $700 million in debt after taking over the water company, the Ballard administration decided last year to transfer ownership of the water company and the sewer utilities to Citizens Energy. That agreement required Citizens to assume about $1.5 billion in debt and pay $460 million to the City of Indianapolis, which plans to use the money to fund the ReBuild Indy program, a major public works program the Ballard administration has envisioned paying for street and sidewalk improvements. Meanwhile, Citizens plans to make job offers to “substantially all” of Veolia’s 436 employees at the water utility. This is just another example of the Ballard administration lying to the public to get a deal through the city council by withholding relevant information from the public while the debate is taking place. We saw this with the bailout legislation for the CIB last year when the public was repeatedly assured the new revenues being raised from higher hotel taxes, state revenue sharing and a state loan would not be used to provide any payments to billionaire Herb Simon's Indiana Pacers in order to secure City-County Council approval. Later, we learned the city had planned all along to divert excess property tax revenues from a downtown TIF district to make possible a $33.5 million give-away to the Pacers. Now we learn that the city planned all along to pay a huge termination fee to Veolia it said was not advisable in order to secure approval of its controversial utility transfer deal from the City-County Council. This is what really makes this termination payment stink. If you read last year's IURC order, it totally panned Veolia's management of the water company. Clearly the city had grounds for terminating the agreement with Veolia based on cause. And lest we forget about the class action lawsuit Stewart & Irwin has filed against the water utility and Veolia for over-charging water customers. That case was originally scheduled for mediation in September, but Veolia's attorneys at Barnes & Thornburg called it off at the last minute. Now we discover the city has agreed to pay City-County Council President Ryan Vaughn's law firm's client $29 million to terminate the agreement. Gee, I wonder how much Vaughn's law firm is receiving for negotiating that termination payment? To the extent Veolia is held liable for its role in over-billing Indianapolis water ratepayers in the class action lawsuit, guess who is going to be paying the damages? Yes, Veolia will have this big pot of money with which the city has rewarded it for a job poorly done to pay the ratepayers as its damages. Mayor Ballard picks the pockets of Indianapolis taxpayers to pay damages suffered by Indianapolis water ratepayers. And then tells you what a great public service he has performed on your behalf. The truth is that this transaction will provide no cost savings, will increase water/sewer bills, and raise the debt burden on the new entity to an unsustainable level. The new debt and Payments in Lou of Taxes (PILOT) wont even be used to lower water/sewer customer bills by making the require EPA consent decree sewer overflow improvements. The Mayor intends to create a huge slush fund for unrelated construction projects. They are using this utility rate increase as a way to raise revenue and get around the property tax cap. Problem is Utility payments are not deductible, so utility customers will get a double hit. The Indiana Utility Regulatory Commission should reject this proposed Water Company sale. The trust's officials had said earlier this year that they hope to a achieve $43 million in annual savings by taking control of the city-owned utilities, but now they are forecasting $60 million in annual savings within three years. NUVO: Could you explain what you feel is unique to the Marion County Prosecutor's Office in terms of its ability to prosecute white collar crime, not just in the business community, but in the Statehouse? Curry: First of all, there is no question whatsoever that the office in the last eight years has not had the ability nor the inclination to pursue 21st Century crime, white collar crime, political corruption matters -- it just hasn't happened. That would be another priority for me to restore the ability of the office to take on that sort of crime, which I know can happen because that's exactly what I did during my six years there. In terms of the political watchdog role of the office, the Marion County office is the only effective watchdog over state government. If there is corruption in state government and in the state legislature, it's going to fall almost exclusively to the Marion County Prosecutor's Office to investigate and prosecute those matters because state government sits here in Marion County. NUVO: You've mentioned launching a Public Integrity Unit should you win. What would be its function? Massa: It will be to investigate and, if the evidence warrants, fully prosecute cases of public corruption and crimes against public administration. The Marion County Prosecutor's Office at one time had a long-time tradition of doing just that, particularly under Prosecutors (Stephen) Goldsmith and (Scott) Newman. Typically people think more and look more to our federal partners for that kind of work, but I do think there is a significant role for the local prosecuting attorney's office to play and I'm eager to lead that. But that's only a part of the ethics platform that we put through in the spring. I am, to date, the only candidate to pledge that I will not have any outside business interests, pledge to not serve on the board of any for-profit companies, and I pledge to not accept gifts as Prosecutor. Curry and Massa both make it sound like it has only been the past eight years that public corruption cases have not been pursued by the Marion Co. Prosecutor's Office. That's a bunch of baloney. I've lived in Indianapolis since 1990 and I haven't seen any serious public corruption cases pursued except for those rare instances where the powers that be decided someone had to be eliminated, such as former Clerk of the Courts Dwayne Brown. Julia Carson's political machine saw him as a potential political threat and saw to it that his career was promptly destroyed. For those of you who don't recall, Brown is the guy who had a fetish for women's feet, paid too close attention to some of his female subordinates and who got prosecuted for ghost employment charges that you could have put almost any statewide or local official in Indiana in jail for if a prosecutor wanted to aggressively enforce that law. If every politician in Indiana had been held to the Brown standard, few of them would still be standing. I'm wondering if either of the two prosecutor candidates were asked such questions about their personal conduct towards female subordinates while working in the prosecutor's office. I'm told by former co-workers at least one of the candidates had some issues in that regard. I do it by doing the job, each and every day. And in that office, that means hammering criminals every day. If I am fortunate enough to get this assignment from the voters, that's going to be my only priority. I'm not going there so I can run for Congress. I want to be the prosecutor. I've been a prosecutor for 13 of the last 20 years and I now have the opportunity to be the Prosecutor, a job that means a lot to me. I have been very lucky in my career to serve two governors, three prosecutors, a (state's) chief justice, and a United States attorney. But I can tell you that by far the most satisfying work I have ever done was as a deputy prosecutor. If the voters afford me this responsibility, I am going to focus on that each and every day and not some of these ancillary issues your readers might have some concern about. That last comment says it all. "If the voters afford me this responsibility, I am going to focus on that each and every day and not some of these ancillary issues your readers might have some concern about." Yep, that's what I thought. Don't worry about the guys in suits pulling all the strings. Let's focus on the down-and-out losers who can't put up a fight. UPDATE: Marion Co. Democrats have launched a negative attack ad against Massa which questions his handling of the police brawl case during the Goldsmith administration. Massa claims the ad is false. He says Mark Stoner, who is now a Democratic Superior Court judge, handled the case. A new WISH-TV poll shows Curry leading Massa 46% to 40%. Henry Karlson didn't curry favor with police or prosecutors. The law professor and often-quoted legal analyst second-guessed their decisions, called on elected officials to resign and even drew death threats. Along the way, he also schooled countless budding lawyers on criminal law and left his fingerprints all over Indiana's criminal code. Karlson, 67, died Monday night of complications from leukemia. His death was announced during a City-County Council meeting less than two hours later -- one sign of the respect the outspoken Karlson had earned during three decades of teaching and punditry, despite his take-no-prisoners approach. "Intellectual trepidation was not a part of Henry Karlson," said William F. Harvey, his longtime friend and a former dean of Indiana University School of Law-Indianapolis. "He knew what he knew, and he knew it perfectly." Karlson retired from the Indiana University School of Law-Indianapolis in 2008 but continued to teach criminal law until his illness sidelined him this year. He was a fixture at the law school as much for his specialty in criminal law as for his staunch conservativism -- both in politics and his view of the law, a rarity in an increasingly left-leaning field. He cultivated an expertise in cases involving child abuse and molestation, often serving as an expert witness. "Most people in Indianapolis who practice criminal law learned it from Henry Karlson," said Joel Schumm, who also teaches at the law school. Karlson often helped state lawmakers draft changes to Indiana's criminal laws, and he participated in the writing of the state courts' evidence rules in the 1990s. But it was his frequent comments to the media that expanded Karlson's profile beyond the legal profession. Even as he fought leukemia, Karlson took reporters' phone calls in his hospital room, up until a few weeks ago. He said the interviews kept his mind sharp. His bluntness sometimes put him at odds with police and prosecutors, and he said he never sought a law license in Indiana in part so he could maintain his independence. "The thing that would make him most angry is injustice. He hated seeing injustice," said his daughter, Liz Karlson, 40, who also became an attorney. Earlier in his career, Henry Karlson received death threats -- from police officers, he asserted -- after taking the side of Fred Sanders, a parochial school teacher who shot and killed a police officer in 1988. Sanders had claimed he shot the officer in self-defense after several officers broke into his home and beat him following a complaint about Sanders' dog. Sanders later pleaded guilty to involuntary manslaughter but, with help from Karlson, he won a civil suit against police for violating his civil rights. More recently, Karlson weighed in on another police incident that drew public outrage. He blasted the mishandling by police of fellow officer David Bisard's blood test following a fatal crash; prosecutors dismissed DUI charges against Bisard because they decided the blood test was inadmissible. "Everything else can be explained away," Karlson said in August. "There's only so many mistakes you can make before it starts looking like a plan." More than a decade ago, when asked about his frequent criticism of police, Karlson said he only felt one obligation. "No, I haven't supported police. I've always supported law, because usually the police are on the side of the law." Karlson grew up in Evanston, Ill. After earning his law degree at the University of Illinois, he served in the Army during the Vietnam War era as a prosecutor and a defender, later becoming the Army's youngest trial judge. In 1972, he was assigned to write the Army's official "after action report" on the My Lai Massacre, addressing legal questions arising from the killing of about 300 Vietnamese villagers in 1968. Karlson is also survived by his wife, Nancy, and a son, Henry Karlson III, 36. His calling is set for 11 a.m. Friday at Crown Hill Funeral Home, 700 West 38th St., with his funeral following at 1 p.m.
On Jon's point that Henry didn't curry favor with police or prosecutors, I would add this. I recall Henry telling me how he was approached by the Marion Co. Prosecutor's Office soon after he retired and offered a contract to advise the office. The exact role the Prosecutor's Office had in mind for Henry was unclear, but in his mind, by entering into the agreement he would be effectively silenced as a critic of the office. Henry would have no part of that despite the nice income the contract would provide to him. He had already taken issue with a number of the decisions made by the office and he felt it was more important that he remain an independent voice to whom the media could turn for sound opinion, particularly when it was at odds with what the office was doing. That decision said a lot about the character of the man. The language of the statute does not prohibit documentation requirements. Indeed, the statute permits states to “require[ ] such identifying information ․ as is necessary to enable ․ election official[s] to assess the eligibility of the applicant.” Id. at § 1973gg-7(b)(1). The NVRA clearly conditions eligibility to vote on United States citizenship. See 42 U.S.C. §§ 1973gg, 1973gg-7(b)(2)(A). Read together, these two provisions plainly allow states, at least to some extent, to require their citizens to present evidence of citizenship when registering to vote. The 2007 decision by the Ninth Circuit was a unanimous en banc opinion, which would seem to make it the law of the circuit. The district court eventually granted Arizona's summary judgment motion in favor of enforcement of the law relying on the Ninth Circuit's decision finding the law did not constitute a poll tax or violate NVRA. The plaintiffs appealed the district court's determination and today a three-judge panel in a split decision rejected not only the law of the circuit established by the first Gonzalez decision but the law of that very case to find NVRA's requirements superseded state law and did not permit Arizona to require additional documentation from voter applications as proof of citizenship. Adding to the oddity of the decision, retired Supreme Court Justice Sandra Day O'Connor joined the decision, sitting by designation, written by Judge Sandra Ikuta. Judge Alex Kosinski offered a stinging dissenting opinion in the case. Judge Ikuta's decision viewed the earlier decision as "statements made in passing" and, therefore, not binding precedent on the circuit, an exception to the so-called law of the circuit rule. She also determined the earlier ruling had been made in "clear error", an exception to the law of the case rule. As the majority belatedly acknowledges 47 pages into its opinion, we don’t come to this case with a blank slate. A prior panel has already held in a published opinion that Proposition 200 isn’t preempted because the National Voter Registration Act (“NVRA”) “plainly allow[s] states, at least to some extent, to require their citizens to present evidence of citizenship when registering to vote.” Gonzalez v. Arizona, 485 F.3d 1041, 1050-51 (9th Cir. 2007) (“Gonzalez I”). That is law of the circuit and therefore binding on us. See, e.g., Miller v. Gammie, 335 F.3d 889, 899-900 (9th Cir. 2003) (en banc). Even if it weren’t, it’s law of the case and can’t be lightly disregarded for that reason. See, e.g., Merritt v. Mackey, 932 F.2d 1317, 1322 (9th Cir. 1991). The majority refuses to accept the consequences of this reality. First, it evades law of the circuit by creating an exception that is squarely foreclosed by a recent unanimous en banc opinion. The majority then weakens our rules governing law of the case by declaring that Gonzalez I’s interpretation of the NVRA is “clearly erroneous” when it’s clearly not. Because I believe that we must take precedent seriously and that Gonzalez I was correctly decided, I dissent from the majority’s conclusion that the NVRA preempts Arizona’s voter registration requirement . . . The majority distorts two major areas of law before it even reaches the merits. It creates an unprecedented exception to our law of the circuit rule, trampling underfoot a newly minted en banc opinion. The majority also makes a mess of the law of the case analysis by taking issue with a prior panel’s reasoning, not its conclusion. And, as to the merits, the panel comes nowhere close to proving that Gonzalez I’s interpretation of the National Voter Registration Act was wrong, much less clearly wrong. Few panels are able to upset quite so many apple carts all at once. Count me out. I expect the Supreme Court will get the final say on this matter before it's all done and said. I would hope the Supreme Court would not interpret NVRA as frustrating the rights and responsibilities of state and local election authorities to ascertain the citizenship status of voter applicants to ensure only citizens are exercising the fundamental right to vote. Then again, there is already a movement afoot in this country to allow non-citizens to vote in our elections. Chicago already allows non-citizens to vote in school board elections and some states are considering measures to loosen voting requirement to allow non-citizens to vote in local elections. Indiana law does not require voter registration applicants to produce any proof of citizenship; rather, it relies on the attestation of the applicant that he or she is an eligible voter. There has been a growing problem of non-citizens becoming registered voters in this country after the enactment of the NVRA and the requirement that state license branches and welfare offices offer the opportunity to register to all customers and clients. I've always that it was rather silly to require a Voter ID requirement if you aren't even going to bother to ascertain whether the person is a citizen before registering them to vote. Arizonans can register to vote with either the federal or the state registration form. For the state forms, they are required to provide information from one of the following documents: a driver's license, passport, birth certificate or a tribal identification or naturalization certification number.Voters who register online must provide driver's license numbers, which are run through MVD's system. Maricopa County Director of Elections Karen Osborne said it takes five to six seconds to verify the citizenship status of a person who provides his or her naturalization certification number because the elections department's system is connected to the U.S. Department of Homeland Security. Those registering with the federal form must provide a driver's license number or the last four digits of his or her social security number, said Matt Benson, a spokesman for the Secretary of State's Office. However, Benson said a Social Security number is not sufficient enough to prove citizenship. So if the County Recorder's Office finds the provided information is insufficient, they will try to contact the applicant to provide additional proof of citizenship. If legal appeals to Tuesday's ruling are unsuccessful, the state would have to amend its voter-registration form to match the federal version, Benson said. The law particularly affected newly naturalized U.S. citizens whose voter registrations were rejected because they received their driver's licenses when they were green-card holders, Perales said. They would provide their license numbers, but they were still coded as non-citizens through the Arizona Department of Transportation's Motor Vehicle Division, she said. When new citizens' registrations are rejected, they have to take extra steps to photocopy their birth certificates or naturalization forms, and people might give up trying to register, she said. State officials who support the proof of citizenship say the requirement helps make sure there is no election fraud. "I think the decision by the 9th Circuit is an outrage, and I think it's a slap in the face to Arizonans who are concerned about the integrity of our elections," Secretary of State Ken Bennett told The Republic. Bennett said voter registration has not decreased since 2004. There were 2.6 million registered voters in Arizona in 2004, and there are 3.14 million voters registered for this year's election, he said. Bennett's recitation of the voting registration numbers showing a large increase in the number of registered voters following the enactment of Proposition 200 is a testament to the fact it has not worked to disenfranchise voters as opponents of these voter security laws are reknowned for claiming. With the exception of one Republican, Christine Scales, all other Republican councilors voted tonight to use property tax revenues for the first time in its history to fund the Capital Improvement Board, notwithstanding repeated promises by Mayor Greg Ballard that he would never tap property tax revenues to fund the CIB. The diversion of this tax money made possible a $33.5 million give-away to the billionaire Herb Simon's Indiana Pacers. Ginny Cain, who obviously has never practiced law, doesn't have a clue what the Pacers' lease agreement for Conseco Fieldhouse provides. We had no legal obligation, Ms. Cain, to give this money to Herb Simon as she ignorantly claimed at tonight's meeting. I know that's what Ryan Vaughn told you. That's because his law firm, Barnes & Thornburg, has earned millions of dollars representing Simon family interests over the years. Bob Lutz caved and voted for it as well despite all of his hand wringing. And yes, Jackie Nytes, crossed party lines and provided the lone Democrat, deciding vote in favor of the CIB's budget tonight. As I've discussed on numerous occasions in the past, Nytes has traded votes on the council for the Ballard administration in consideration of the millions of dollars in federal grant money the Ballard administration has directed to the Mapleton Fall-Creek Community Development Corporation she runs. Her husband's business, Printing Partners, a non-union print shop, has been awarded tens of thousands of dollars in printing business by the Ballard administration as a further reward. Additionally, Kyle Walker, a former staffer for DPW who now works for a consulting engineer/city contractor and is managing Mark Massa's campaign for prosecutor, has directed additional printing contracts to Printing Partners to reward her for her unpopular votes for controversial proposals touted by the Ballard administration. From this we can assume Massa has signaled he won't prosecute pay-to-play crimes if he is elected prosecutor. Republican councilors will rue their votes for tonight's CIB budget, as well as other unpopular votes the Ballard administration and Ryan Vaughn's law firm has forced them to make in order to reward the pay-to-play club members and his law firm and its clients. Democrats have already prepared negative attack ads they will launch next year to sink Ballard's and the Republican councilors' re-election races next year for their votes and support of these controversial measures overwhelmingly opposed by the public. If these Republicans think voters were upset in 2007 over a 65% increase in the income tax, how do they think voters will think about politicians who vote to give multi-million dollar subsidies to billionaire sports team owners during the worst economic downturn since the Great Depression and at a time other city agencies providing basic services are seeing their budgets slashed? 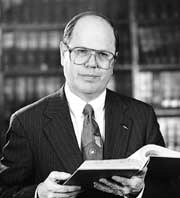 Professor of Law Emeritus Henry Karlson (Aug. 17, 1943 to Oct. 25, 2010) of the Indiana University School of Law-Indianapolis succumbed this evening to complications from an aggressive form of leukemia. He was 67. "You are my hero and very loved by your wife, son, daughter and family and friends," his daughter Elizabeth Karlson writes on her Facebook site tonight. I really enjoyed the many conversations I had with Professor Karlson in recent years discussing the law and politics. I learned something new each time I talked to him. Like myself, he had grown extremely disillusioned by the state of political affairs in this country. He treasured and respected the U.S. Constitution. Henry loved the law, and he knew it well. His specialty was criminal law. My heart goes out to his wife, Nancy, Liz and his family and the many friends and former law students who dearly loved him. I'm sure Henry is in a better place now. An ongoing battle between Marion County Prosecutor Carl Brizzi and scrap dealer Omnisource flared up again Monday with the filing of eight racketeering charges against the company. A grand jury returned an indictment against Omnisource, including three counts of corrupt business influence and five counts of attempted receipt of stolen property. The indictment alleges the activities took place between June 2007 and May 2009 and involved various metals that were in high demand at the time, including catalytic converters and copper wiring. "After hearing evidentiary proceedings, the grand jury acted as an independent and thoughtful body of citizen peers and made the decision to render these charges," Brizzi said. Last week, Omnisource asked a judge to force Brizzi to return more than $277,000 it says was seized as part of a trumped-up investigation. OmniSource, a Fort Wayne-based subsidiary of Steel Dynamics, claimed in its lawsuit that the probe of its practices was a sham aimed at raising the prosecutor's political profile. "After almost 20 months it has become clear that this action by the prosecutor has never really been about a legitimate concern about metal theft in Marion County or about a desire for accuracy or justice," OmniSource President Mark Millett said in a news release. A grand jury began reviewing evidence related to OmniSource in June, more than two years after police raided several scrap yards. OmniSource has 10 Indiana locations. It also operates in Illinois, Ohio, Michigan, North Carolina, South Carolina, Georgia and Florida. The lawsuit, which accuses Brizzi and Garrison of illegal and unethical conduct, is the latest in a series of reports scrutinizing Brizzi's dealings as prosecutor. Brizzi, a Republican, has announced he won't seek a third term. Today's indictment against OmniSource may explain why Republican prosecutor candidate Mark Massa recently returned a large donation from Larry Mackey, the white collar criminal defense attorney at Barnes & Thornburg who is representing OmniSource. Earlier in the investigation, Mackey attempted to get a top investigator with IMPD fired or demoted in a letter he wrote to Brizzi and then-IMPD Chief Mike Spears complaining about statements the investigator made to the media about the ongoing investigation. A week ago, OmniSource filed a lawsuit against Brizzi seeking to recover $277,000 in cash seized from the company's scrap yards during the raids that took place two years ago. OmniSource accused Brizzi and Greg Garrison, a private attorney hired by Brizzi's office to handle civil forfeiture actions, of keeping the seized money in violation of the law and breaking the rules of professional conduct. A copy of the grand jury's indictment can be viewed here. The federal government can't be expected to continue to pay for commuters to hop a bus from Hamilton County to Downtown. The responsibility is, or at least should be, a local and regional concern. But there's another layer of government -- the state -- that stands in the way of Central Indiana's ability to build its own regional transit system. That needs to change next year. State legislators likely will be asked during next year's session to authorize regional leaders to stage a referendum on transit funding in November 2011. To be clear, lawmakers won't be asked to approve a tax increase to pay for rail and bus lines. Rather, their role is only to allow Central Indiana residents to decide for themselves whether to spend money on buses and trains. The need for a better transit system -- and for a proper mechanism to fund it -- is evident. At year's end, when federal grants expire, popular bus routes that carry commuters from Fishers and other points in Hamilton County to Downtown are scheduled to be dropped. Residents who now ride the bus to work will have little choice but to pile into their cars, adding to the congestion on city streets and highways. It's important to remember, however, that the proposed regional transit system isn't just about helping Hamilton County commuters. Bus lines would be extended to various points in the region. Rail lines would be extended to Fishers but also to Greenwood, and eventually other regional destinations. Even more important, Indianapolis' woeful bus system finally would have the means to create a functional network for moving urban workers to suburban job sites. That's a critical step for the financial health of individual families and the economic strength of the region . . .
What a difference four years makes. Greg Ballard ran against then-Mayor Bart Peterson's 65% increase in the income tax increase to fund public safety in 2007. In 2011, he plans to run on a new regional tax to fund public transportation. Sounds like an effective re-election strategy. Hah.
. . . The 30-second ad features gloomy music and a sober-sounding narrator telling the story of Curry's handling of an appeal for a convicted child molester in 2001. "We're left with one question," the narrator says at the end of the commercial. "Can he really get tough with child predators when he has no problem defending one?" For cinematic effect, the ad is full of darkness and shadows and features a dozen or so young children staring sadly into the camera. The ad came out of nowhere, a sharp attack at the tail end of a policy-driven campaign. In debates, the two candidates have been respectful. In the interviews I've had with them, both seemed to agree that the other was a quality candidate. "I was exceedingly disappointed that Mark would run that ad," Curry said. "I think it's beneath him, and I think it came out of their campaign because they know they are behind." That seems to be the general consensus. As one of Massa's fellow Republicans told me last week, this isn't the type of ad you run when you're leading in an election. Both campaigns have claimed polling shows them with modest leads. But so far, only one has taken the scorched-earth strategy. Massa's campaign manager, Kyle Walker, defended the ad, which he acknowledged has generated grief from local lawyers. "It's highlighting the fact that the guy who gave a child predator a vigorous defense now wants to be your prosecutor," Walker said. Like many negative ads, this one might be effective. On the list of despicable human beings, few rate lower than child molesters. And tying a prosecutor candidate to a lowlife he once defended is a reliable and time-tested tactic. Tying one to a child molester might be political gold. After all, we have a criminal justice system that relies on the ability of all defendants to receive a fair trial and competent defense. For the system to work, we need lawyers who are willing to represent people whose actions might leave them nauseous. Massa's ad seems to exploit that system for quick political gain. Curry noted that the system relies on a government facing the burden of proof and the accused receiving a vigorous defense. "The intent of that adversarial relationship is that the truth will emerge, and we will only convict people who are guilty," he said. He also pointed to the many criminal cases, including those against child molesters, that he led while in the prosecutor's office. He called the idea that he would be soft on any crime ridiculous. And then he said he would respond to Massa's ad with one of his own. That's understandable, and fair. But this isn't the way many people expected this campaign to end. Xerox Corp. more than doubled its third–quarter profit as sales of office equipment continued to bounce back and its recent acquisition of outsourcer Affiliated Computer Services (News - Alert) fueled growth in services revenue. As it looks to wring more cost savings out of the $6 billion ACS deal, Xerox said Thursday it plans to eliminate 2,500 jobs, or about 2 percent of its 133,000–person work force. That's in addition to 2,500 jobs Xerox said it would cut back in January. The company has been clawing its way back from a dismal 2009, when sluggish business at its customers caused a drop–off in spending on office equipment and supplies. Xerox CEO Ursula Burns struck a muted note on the pace of recovery, noting that big companies still aren't doing much hiring. Xerox is a fair indicator of white–collar employment, because the more people that its customers employ, the more ink and paper they use. "I think that it would be hard for me to say that things aren't looking a little bit better," Burns said, but added, "I'm still cautious on the economy." Marion County politics heated up at the eastside satellite polling place this afternoon at the traffic court near 10th and Post Road. Ernie Shearer, a Republican ward chairman for Warren Township, claims Marion Co. Democratic Chairman Ed Treacy assaulted him outside the polling place after Shearer snapped a photograph of Treacy. According to Shearer, Treacy yelled expletives at him, body slammed him and slapped him in the face in a chopping motion with credentials he pulled out of his pocket as evidencing his right to enter the polling place. Shearer says he grabbed Treacy's hand after he slapped his credential in his face at which point Shearer claims Treacy again body slammed him, knocking him against a pickup truck belonging to Paul Tuttle, Sr., who Shearer says witnessed the altercation. Two reserve deputies arrived soon after the altercation occurred and took statements from Shearer, Treacy and Tuttle. Shearer said he had visited the polling site in a volunteer capacity on behalf of Hoosiers for Honesty In Government, a political action committee with which he is associated. Shearer said he had heard reports of campaign violations taking place at the two satellite polling sites. Shearer expressed concern that Democratic candidates, including Marion Co. Clerk Beth White were campaigning within the 50-foot chute leading to the polling site in violation of election law. Shearer claimed White greeted voters and asked for their vote. The reserve deputies who took the police report made no arrests and planned to turn their report over to IMPD according to Shearer. After spending months trying to prevent voters from voting by blocking the utilization of satellite voting locations, Marion County Republicans have sadly taken their voter suppression tactics to an entirely new level: Voter Intimidation. Under Indiana law (Ind. Code section 3-14-3-21.5), voter intimidation is defined as "a person who knowingly or intentionally intimidates, threatens, or coerces an individual for . . . voting or attempting to vote . . . ."
Today, Marion County Republicans engaged in precisely such illicit behavior at the satellite voting location on 10th and Post Road. Taking pictures and recording the faces of voters without the voters' approval, local Republicans have resorted to reprehensible tactics. "These tactics are both despicable and, frankly, creepy. Mayor Ballard and Chairman John should be ashamed of themselves for resorting to such desperate actions. Today, I'm calling on the Mayor and his county chairman to end this strategy of voter intimidation and suppression. If they won't protect voters, I will," said Marion County Democratic Party Chairman Ed Treacy. Special deputies were asked for help at an early voting station on Saturday after two local political leaders got into a scuffle. An Indianapolis Metropolitan Police Department report says Marion County Democratic Chairman Ed Treacy and Warren Township GOP ward Chairman Ernest Shearer got into a shouting and shoving match around 3 p.m. Saturday outside a satellite polling site at 9049 E. 10th St.. According to the report, Shearer accused Treacy of assaulting him and insisted on pressing charges. Shearer told police he took pictures of Treacy walking out of the polling site when Treacy began cursing at him, bumped him and hit him in the nose with a business card. He told police Treacy chest-bumped him three times. Witnesses told police they saw Shearer bump Treacy and grab his arm and that the bumping was mutual. Satellite polling stations like the one on 10th Street allow people to vote absentee in person and avoid lines on Election Day. Just as at regular polling locations, candidates and party officials sometimes campaign nearby, greeting those getting ready to vote. In a statement issued via e-mail, Treacy acknowledged there was a "bumping of bellies." He said the incident began as he was leaving the early voting location near 10th Street and Post Road. He said he noticed Shearer taking pictures of voters "in an intimidating manner." "There had been an earlier confrontation with other Democratic volunteers," he wrote. "I asserted that Mr. Shearer was behaving in a manner designed to intimidate voters. "Mr. Shearer asserted that he was documenting illegal behavior, including my presence at the site. I produced my watcher card, allowing me to enter and leave the early vote site." Treacy then accused Shearer of voter intimidation. Witnesses told police they saw Shearer bump Treacy and grab his arm. They said the bumping was mutual. One of the witnesses, Paul Tuttle, 73, was at the site to support his son, Paul Tuttle Jr., a Democrat who is running for re-election for Warren Township constable. "(Shearer) had been out here harassing voters, taking pictures while they were in the chute leading into the voting poll," said Tuttle. "I think he's trying to harass the voters." Secretary of State Todd Rokita's office has completed an investigation of allegations Republican Secretary of State candidate Charlie White committed voter fraud by using an address where he did not actually live in order to hold a seat on the Fishers town council. Rokita told reporters today his office spent more than 100 hours preparing a 265-page report his office has now forwarded to the special prosecutors investigating the allegations. Rokita made no recommendations to the special prosecutors in the report. Rokita does not have authority to prosecute voter fraud cases, was not acting as a law enforcement agency in gathering evidence concerning the allegations and collected the information contained in the report without the power of subpoena. Yet he tells reporters today he does not intend to make the report public. The public will not know the outcome of the investigation being conducted by the special prosecutors until after the election. The news media should go to court and attempt to force Rokita to release the report. Indiana's access to public records law exempts "investigatory records of law enforcement agencies" from disclosure; however, it doesn't appear to me the Secretary of State was acting in the capacity of a law enforcement agency to claim his findings are exempt from the law. Even if he was, the public access law exempts basic information police gather in making arrests and reduce to arrest record reports. Anybody else have their thoughts on whether Rokita's report is covered by the investigatory records exemption? Dan Coats' former lobbying firm could hardly have a more prestigious address. The offices of King & Spalding sit on a corner of Pennsylvania Avenue here in the heart of the nation's capital. From the front door, it's a two-minute walk to the White House. From there, it's just another mile and a half to the U.S. Capitol . . .
Until recently, Coats was one of those employees. He'd cashed in big by trading on his years as a senator. He joined one lobbying firm after leaving the Senate in 1999, and then cashed in again, joining King & Spalding after a stint in the Bush administration. Now Coats wants Hoosier voters to forget that and send him back to Capitol Hill. His story is the revolving-door syndrome to the extreme. Election Day is approaching fast and Coats is leading Brad Ellsworth, his Democratic opponent, in the polls. For Coats, it's a remarkable feat. Somehow, he's gotten many voters to gloss over a resume that should disqualify anyone -- no matter how good a person or sharp a mind -- from serving in the Senate. He's asking voters to elect him to the world's so-called most deliberative body after spending years making gobs of money by lobbying his old pals in that same body. The revolving door, through which lawmakers walk to become high-paid lobbyists, is a crushing problem. Firms with big bucks hire former lawmakers to peddle their client's causes. It is a spirit-breaker for citizens -- an abuse perpetrated by Democrats and Republicans equally. But this case is particularly glaring. At a time when voters are railing against "politics as usual" in Washington, they're on the verge of electing a lawmaker-turned-lobbyist to the Senate. At a time when voters are complaining about the insider culture in D.C., they are considering electing a man that a King & Spalding news release once touted to clients as a leading member of its team of "Washington insiders" . . .
Because once a politician walks through the revolving door, it should lock behind him. Is Indiana Better Off Than Illinois? Zorn found that if Indiana's tax rates were in place in Illinois, the state would be collecting $5.6 billion a year more. Wow! It is true that Indiana is not facing a budget deficit like Illinois, at least if we're not counting the $2 billion the state of Indiana owes the federal government for unemployment claims. I would note Zorn's state sales tax figures disregard local tax rates in Illinois which push taxes to the 10% range in the Chicago area. Our local food and beverage taxes in Indianapolis, however, push tax rates up to 9%. Indianapolis Mayor Greg Ballard this morning announced changes to a parking meter lease proposal that would drastically increase the city's share of revenue to $620 million over 50 years, but would reduce the upfront payment to $20 million. Ballard's initial proposed contract with a team led by Dallas-based Affiliated Computer Services, a Xerox company, set out a $35 million upfront payment. ACS had estimated the city's share of ongoing revenue over 50 years at $400 million. A press release from Ballard's office hailed early termination provisions of the lease, an option that will allow the city to review the lease every ten years and terminate if it so chooses, but not without paying a hefty termination fee to ACS. Even though the city will get $15 million less up front from ACS, Ballard says the deal is better for the city because it will earn $220 million more than the original $400 million estimate if it keeps the lease agreement in tact for the full 50 years. City-County Councilor Barb Malone, who didn't have a clue what the original agreement meant when she endorsed it without reviewing it, stood by Ballard's side again today saying she still wholeheartedly embraced the new plan. "With the revised proposal announced today, I continue to be proud to be a part of the plan to modernize our City’s parking meter system," Malone said. "With a highly-competitive selection process and an active public outreach program that truly listens to the people of Indianapolis, this proposal continues to do what’s best for our city – both now and for the long-term." The key change in the agreement is the early termination provision; however, the penalties the city faces if it cancels before the end of the 50-year term makes it unlikely the city would undo the agreement. At the end of the first ten years, for example, the city would have to give back nearly all of the money it received up front from ACS, $19.8 million. After 20 years, that early termination fee would still be $16.25 million, falling to $12 million after 30 years and $8 million after 40 years. The information the Mayor's office released today isn't clear on this point but presumably the intellectual property associated with the electronic parking meters would remain the property of ACS unless the city purchased them in the event of termination, which would mean the break-up fee could actually be considerably higher than what is presented. ACS has suggested it will spend at least $7 million initially to install electronic parking meters if the lease agreement is approved by the council. While it is true in inflation-adjusted dollars the break-up fee may not seem as bad as it appears, the replacement cost of electronic parking meter system could be substantially more in the future, and certainly the cost of maintaining those systems will likely increase significantly. The Ballard administration plans to enter into separate agreements with ACS to run other city-owned parking garages and lots, and the Health and Hospital Corporation says it plans to use ACS to run its new parking garage at the new hospital. The terms and value of those deals have not been made available to the public. Further, the Ballard adminstration says it plans to build a new city-owned parking garage in Broad Ripple. Presumably, ACS will also get to run this garage but the terms of that deal remain unknown. A residential permit program in Broad Ripple that was to be administered by ACS under the original agreement, which got to keep all of the revenues, will only be administered by ACS if the city asks and the revenue will be shared. Residential permit programs elsewhere in the city will still be run by ACS but the revenues will be shared. The financial impact to the city for removed meters will also be lessened under the revised deal. The city had to bear all of the costs for removed meters under the original deal; the city will be allowed to remove as many as 200 metered spaces without impacting its revenue share under the revised deal. As to the advertising component the city relinquished entirely to ACS, the revenues will now be shared unless the city initiates its own advertising program for the new meters. I return to the argument I've made from day one. Why doesn't the city simply maintain ownership of the parking meter assets and invest in the newer technology, coupled with higher rates, and realize all of the revenues? It's not rocket science to do the math and figure out that would return a lot more money to the city than what is being proposed either under the original or revised 50-year lease agreement with ACS. There are plenty of technology vendors out there which would gladly assist the city in implementing a new system without demanding ownership of it. The excuse the city doesn't have the money available to invest in newer technology also doesn't hold water. We've learned recently just how much money the city is holding back in excess property tax revenues derived from the various TIF districts. The city could easily spare enough money to make the necessary investment without giving up control of this important asset. The only reason, and I repeat the only reason, the Ballard administration wants this deal with ACS is to reward political cronies of the administration. I would hope our city-county council would have the good sense to figure that out, but the events of the past few years leave me to have no confidence in the intellectual capacity or integrity of our elected councilors to figure out what is in the public's best interest. Daniels' press secretary, Jane Jankowski, said the hire "made the most sense given the scope and complexity of the case." The law firm's contract with the Family and Social Services Administration outlines its conflicts, and Barnes & Thornburg even suggests in the document that the agency consider hiring a co-counsel to handle conflict-of-interest issues as needed. The contract was obtained by the AP. "They're very good litigators and that's why they were chosen," family and social services spokesman Marcus Barlow said of Barnes & Thornburg. Barlow said the $5.25 million is "a small fraction" less than 1 percent of the $1.3 billion in damages the agency is seeking from IBM. Indiana House Speaker Patrick Bauer, however, called it foolish for the agency to hire outside counsel when the Indiana attorney general's office could represent it for no cost in attorneys' fees. "To spend another $5 million is bad money after bad money, and the taxpayers are the losers," said Bauer, a Democrat from South Bend. Daniels, a Republican, fired Armonk, N.Y.-based IBM last October from a 10-year, $1.37 billion contract to introduce call centers, document imaging and other automation to the process of applying for food stamps, Medicaid and other benefits. IBM and Indiana sued each other in state court last May. The $5.25 million contract with Barnes & Thornburg also calls for the human services agency to pay attorneys' expenses. Barlow said the money would come out of the agency's administrative budget, which includes legal costs. The Barnes & Thornburg team includes longtime Republican activist Peter Rusthoven at a rate of $475 per hour, John Maley at $465 and Brian Burdick at $405. Burdick is the brother of Betsy Burdick, Daniels' deputy chief of staff. Signed by Brian Burdick and members of the Daniels administration in August, the contract covers Dec. 18, 2009 a few days after IBM's state contract ended through June 30, 2012. The case is scheduled to go to trial next September. Three pages of the 9-page contract detail Barnes & Thornburg's conflicts of interest from having represented ACS Human Services, a division of Dallas-based Affiliated Computer Services Inc.; Arbor Education and Training; and other subcontractors involved in the IBM deal. Arbor and ACS have new eight-year contracts with the state totaling $853.2 million. The state agency also should expect IBM's attorneys "will look for creative ways to exploit the fact that (the firm) represented and continues to represent" the other clients, the contract says. Julia Vaughn, policy director for the government watchdog group Common Cause/Indiana, said the conflicts of interest were "handing IBM a potential hornet's nest to bat around." "For a lot of different reasons it screams that Barnes & Thornburg isn't an appropriate firm to put in charge of this case. It looks like their political connections overrode common sense," Vaughn said. Barnes & Thornburg spokesman Ty Gerig said the firm would not comment on the contract. IBM spokesman Clint Roswell had no immediate comment. The company is suing the state agency for $52.8 million it claims it is owed under the contract. Brian L. Burdick, a partner in Barnes & Thornburg LLP’s Indianapolis, Indiana office, concentrates his practice in the areas of government services and public finance. In the public finance area, he serves as special counsel to commercial and investment banks, money management firms, and registered investment advisors advising them on issues in the tax-exempt marketplace including Indiana public-fund banking and investment issues. Mr. Burdick also represents governmental entities as well as underwriters and credit providers in their various roles in public debt offerings. He serves as general counsel to the Indiana County Treasurers’ Association and the Indiana Bond Bank. His government services practice focuses primarily on representing both public and private clients before state and local regulatory bodies and administrative agencies, counseling them on public contracting and bidding, state and local government ethics laws, and financing transactions. As a registered lobbyist, he represents numerous public and private clients before the Indiana General Assembly and advises them on Indiana’s lobbying, election and campaign finance laws. Mr. Burdick was selected for inclusion in The Best Lawyers in America® 2010 in the fields of government relations law and municipal law. Note that Burdick's bio doesn't use the word "litigation" once. Burdick once worked as a Deputy Treasurer in the State Treasurer's office, where he directed bond work to Barnes & Thornburg's Bob Grand, who hired Burdick to work for the firm in consideration for all the legal work he sent to the firm while he was at the State Treasurer's office. Will you have a follow up report on Michael Gargano and his relationship to ACS, Ken? Glad to help you out in doing your job. Well, at least you're reporting on the obvious and not ignoring it like the Indianapolis Star. 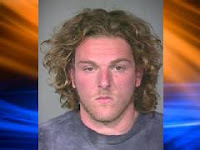 Indianapolis Colts punter Pat McAfee was arrested on a public intoxication charge early Wednesday morning after he had apparently swam in the canal near Broad Ripple and College avenues and approached a female driver at a red light, police said. Indianapolis police said McAfee, 23, was shirtless and appeared to be drunk at the time of the arrest, which happened at about 5 a.m. According to a police report, a woman called 911 after McAfee, who she described as appearing wet and cold, approached her car while she was stopped at a red light at College and Broad Ripple. "There's this guy walking around without any shirt on, and he was standing right next to my car," the caller said. "He tried to (inaudible) inside my car, so I just went off. I think he's out of it." The woman told police that McAfee wasn't wearing a shirt, but had jeans on. "It looked like he was trying to get in my car, so I just kind of ran through the light," she said. Police said McAfee told them he was not sure if he had been in the canal and that "it was raining." Skies were clear with a temperature in the low 40s at the time. There was no rain in the area. McAfee then admitted that he was intoxicated, officers said, and told police that he was waiting on a friend to pick him up, but later told them he would call a cab, according to the police report. Police said that McAfee wanted to walk home. "I know I am drunk, but does that mean I cannot walk home?" police said McAfee told them before his arrest. McAfee's blood-alcohol level tested 0.15 percent, police said. Colts president Bill Polian issued a statement Wednesday morning. McAfee is in his second year with the Colts after a collegiate career at West Virginia, where he was a placekicker, punter and soccer player. The Colts sent Gill off to rehab after his arrest for public intoxication because it was not the first time he had abused alcohol. WRTV has an online survey asking viewers what discipline should be taken against McAfee. So far, suspension is winning out over no discipline or being kicked off the team. UPDATE: The Star has a list of 12 Colts players who have been arrested over the past 5 years. I missed the DUI case of defensive tackle Fili Moala earlier this month. UPDATE II: The verdict is in. McAfee gets a one-game suspension. Did Terry Curry Just Find A Tim Durham Issue To Sink Mark Massa's Candidacy? In an Initial Decision issued on August 24, 1998, Commodity Futures Trading Commission Administrative Law Judge (ALJ) George H. Painter found that, during 1989, Jerry W. Slusser, formerly of Indianapolis, Indiana, and currently of Las Vegas, Nevada, and First Republic Financial Corporation (FRFC) (formerly known as Vancorp Financial Services) of Indianapolis, Indiana, misappropriated nearly $6 million of customer funds, made material misrepresentations and omissions of facts to customers, and failed to register with the Commission and make required disclosures in their operation of two commodity pools. The ALJ found Slusser, the owner and chairman of the board of FRFC and a registered associated person, liable for FRFC's violations as a controlling person of the firm and that another of Slusser's corporations, First Republic Trading Corporation (FRTC), a registered introducing broker also of Indianapolis, aided and abetted FRFC's and Slusser's fraud. The ALJ also found that FRFC illegally acted as a commodity pool operator (CPO) without being registered with the CFTC, that Slusser illegally acted as an associated person of a CPO without registration, and that FRFC violated CFTC regulations governing the operation of commodity pools and required disclosures to pool participants. The ALJ ordered Slusser, FRFC, and FRTC to cease and desist from further violations, permanently banned them from trading commodity futures, revoked the registrations of First Republic Trading and Slusser, and ordered Slusser, FRFC, and FRTC --jointly and severally -- to pay a $10 million civil monetary penalty, the largest ever assessed in a litigated Commission administrative proceeding. Slusser has also donated hundreds of thousands of dollars to other Indiana Republicans in recent years, including Massa's former boss, Gov. Mitch Daniels and Indiana Secretary of State Todd Rokita and the Indiana Republican Party. It looks like Slusser has even flown Gov. Daniels around in one of his private jets he leases on a number of occasions as well when it wasn't being used for, ahem, other "business matters." With some exceptions, the 21st century version of synthetic-fuel plants uses competing coal-altering processes developed by a handful of companies, which make money by licensing their technology. One is Earthco, a mysterious Las Vegas enterprise whose technology is used in 10 plants in six states. An Earthco founding principal was Jerry W. Slusser, 57, who has been involved in a string of curious businesses. In 1998 a Commodity Futures Trading Commission judge found that Slusser and two of his companies "pilfered millions of dollars from customers using the commodities market to carry out their scheme." Some of the money was funneled through accounts of Slusser's Sterling International Bank Ltd., which existed as a post office drop on the Caribbean island of Montserrat. The commission barred Slusser and his firms from trading commodity futures and assessed a $10 million penalty, the largest ever in an administrative hearing. A U.S. appeals court, while acknowledging there had been "multiple frauds," reduced the fines to $600,000, which Slusser has again appealed. The investor's home in a gated country-club community just off the Las Vegas strip is also the official address of more than 80 Slusser-related business ventures with names like 481TL LLC, CCHDDNV Inc., N15SB LLC and QEAT4 LLC. With their principals scattered across the country, the companies have the appearance of being tax-avoidance devices, just like the synfuels scheme. What, if anything, does Earthco's synfuel process do? Calls for information to Earthco and its employees were fruitless. When TIME reached Slusser, he promptly hung up the telephone after hearing the writer identify himself. A call to Earthco's office in Las Vegas proved equally unproductive. A woman who identified herself as Susan Trimboli said any questions would have to be answered by a Jim Scott in Sacramento, Calif. He turned out to be James Scott, who works out of Earthco's Las Vegas office. He is the president of Mid-Power Service Corp., another Las Vegas energy business. Until two weeks ago it was in bankruptcy court. Scott did not return calls, but Mark Davis, a Sacramento attorney and Scott associate, did. Asked about Slusser's current connection with Earthco, Davis replied, "The answer is zero. Neither as a shareholder, officer—no capacity whatsoever." But Davis declined to discuss Slusser's earlier involvement, the nature or origin of Earthco's technology or how it has reduced American dependence on foreign oil. "That's really all I have to say," he said. Massa has stated the biggest challenge the next prosecutor in Marion County will have is "restoring public confidence not only in the prosecutor’s office but in law enforcement writ large.” My question to Massa is how he can accept money from someone like Slusser and assure us he will not be influenced by the acceptance of such questionable contributions. Slusser has the right to donate money to whom ever he pleases, but candidates for public office have the right to turn down campaign contributions they receive. Hasn't Mitch Daniels, Mark Massa, our state's chief securities enforcer, Todd Rokita, or anyone else in my party asked the question whether it is appropriate to be accepting contributions from Slusser? According to FEC records, Slusser has maxed out contributions to Rokita this year and GOP Senate candidate Dan Coats. Has nobody learned the lessons from Tim Durham? Will ACS Gain Complete Control Of FSSA?